We're not saying that life insurance is the greatest thing since sliced bread. But this financial planning concept—which seemingly has been around forever, perhaps since before sliced bread—does offer significant tax benefits. In fact, permanent life insurance is a three-way tax winner. For simplicity, this article will focus on whole life, one of several kinds of life insurance. Typically, a whole life policy remains in force as long as you continue to pay the premiums. Meanwhile, the policy builds a "cash value" you can borrow against. You also could surrender the policy and receive its "surrender value." If you keep paying premiums, or if the policy is paid up, your beneficiaries will receive a death benefit when you die. That money, which usually is available a short time after the death, can help sustain a family during a time of financial need. There's no income tax when you acquire the policy. There's no income tax on the cash value building within the policy. There's no income tax when the death benefit is paid to beneficiaries. That makes life insurance completely exempt from income tax. This generous tax treatment is especially attractive to upper-income taxpayers. Due to recent tax law changes, the top income tax rate is now 39.6%, and you might have to pay an extra 3.8% Medicare surtax on a portion of your investment earnings. When you add the surtax to the top tax rate, you could be paying tax on some of your income at a 43.4% rate, not even counting state income taxes. It's not unusual for those in high-tax states to exceed an overall 50% mark. Note; If premiums aren't paid until the insured's death and the policy is surrendered or lapses, the amount previously borrowed is subject to income tax to the extent it exceeds basis. What about federal estate tax? The proceeds will be included in your taxable estate if you own the policy or otherwise posses any "incidents of ownership," such as the right to change beneficiaries. But you can avoid that problem easily by transferring ownership of the policy to a life insurance trust. And even if death benefit proceeds are subject to estate tax, a generous $5.49-million exemption in 2017 can cover the liability. What will it cost? This varies widely, based on factors such as the amount of coverage, your age, medical condition, and family health history. 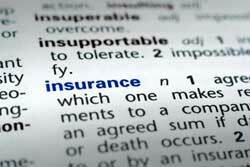 But you should be able to find a policy with a reputable insurer that is affordable for your situation. Of course, from an investment standpoint, you might achieve a better rate of return with other options. Nevertheless, life insurance, aided by the triple tax shelter, can be a productive part of your overall financial plan.